See the color chart below to browse all of the colors we currently offer. We can offer an assortment of de-boned white tail deer tails, both dyed and natural, which are great for craft projects. These can also be used for fly-tying. The tails are dyed right to the roots and an extra process leaves the tails very clean of dyes and natural oils. The deer tails are approximately 6" - 9" (15 - 22.5 cm) long including the hair. The hard part of the tail is approximately 6" - 7.5" (15 - 18.5 cm) long. The hair length is 2.5" - 5" (6 - 12.5 cm) depending on the individual tail and what part of the tail the hair is being measured. Each tail weighs approximately 0.6 oz. 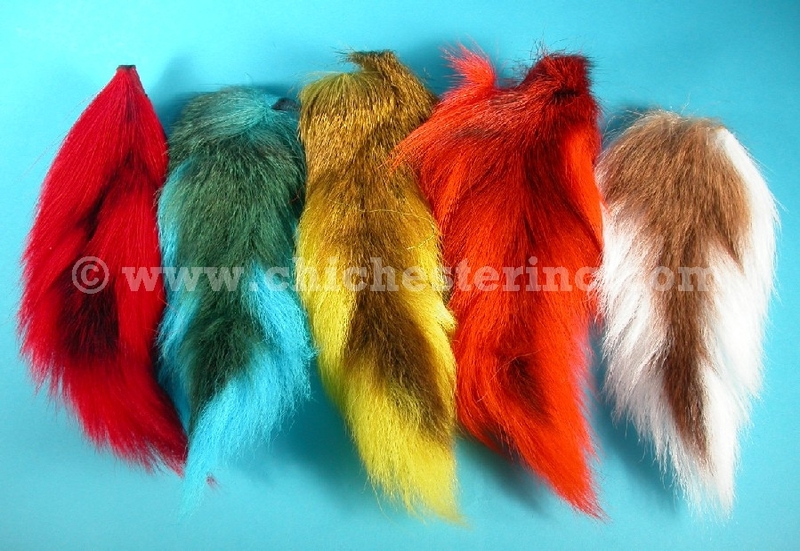 These are all northern buck tails.